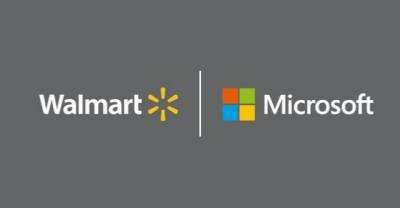 Walmart Inc. (NYSE: WMT) announced it is establishing a strategic partnership with Microsoft Corp. (Nasdaq "MSFT" @microsoft) to further accelerate Walmart’s digital transformation in retail, empower its associates worldwide and make shopping faster and easier for millions of customers around the world. Through this partnership, Walmart has chosen Microsoft as its preferred and strategic cloud provider tapping into the full range of Microsoft’s cloud solutions. "Walmart’s commitment to technology is centered around creating incredibly convenient ways for customers to shop and empowering associates to do their best work," said Doug McMillon, Walmart CEO. “Walmart is a people led, tech empowered company, and we’re excited about what this technology partnership will bring for our customers and associates. Whether it’s combined with our agile cloud platform or leveraging machine learning and artificial intelligence to work smarter, we believe Microsoft will be a strong partner in driving our ability to innovate even further and faster." "Walmart is a pioneering retailer, committed to empowering its employees and delivering the best experience for its customers wherever they are," said Satya Nadella, CEO of Microsoft. 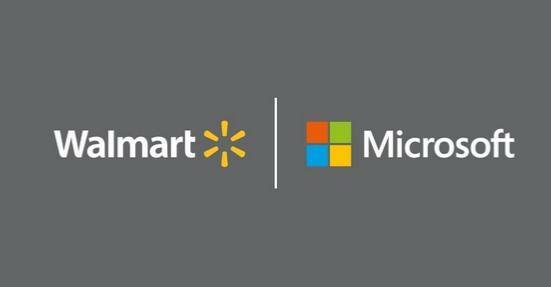 “The world’s leading companies run on our cloud, and I’m thrilled to partner with Walmart to accelerate their digital transformation with Microsoft Azure and Microsoft 365."